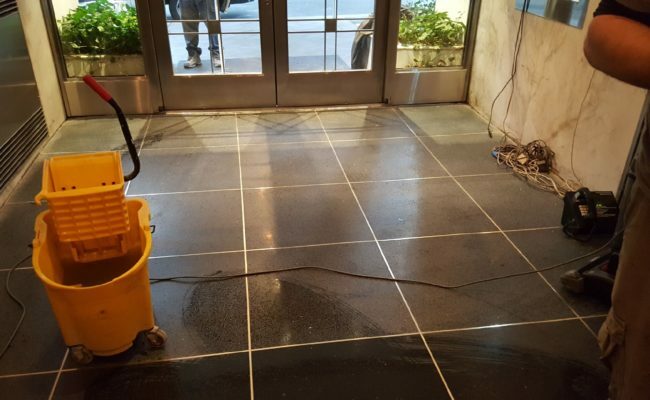 The terrazzo floor in the foyer of this New York City apartment building was in need of repair and polish. Heavy foot traffic and other wear and tear over the years created scratches, holes, and, and chips in the stone. Upon further examination it was deemed necessary to remove the existing terrazzo, and replace. The restoration process required several steps. Our technicians began the restoration process by removing all existing terrazzo in the lobby. We mixed and poured new terrazzo to match original color. All brass stripping was replaced and matched to existing design of the floor. Once floor was set, we used progressive grits of diamond abrasives to even out the surface. Then, by using polishing compounds and different techniques, we were able to achieve the highest luster possible during the final polishing process. 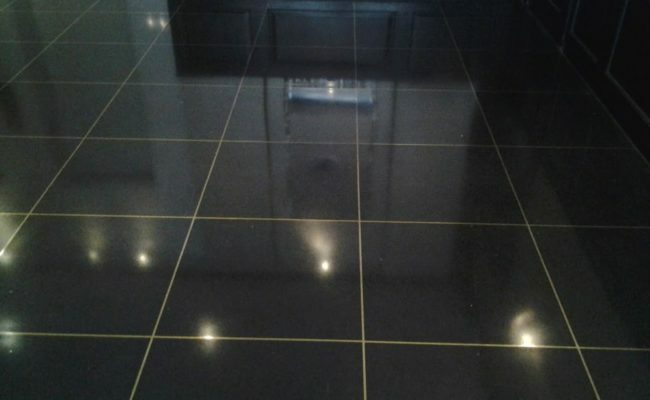 The surface was then treated with a high quality impregnating sealer to protect the stone from staining. 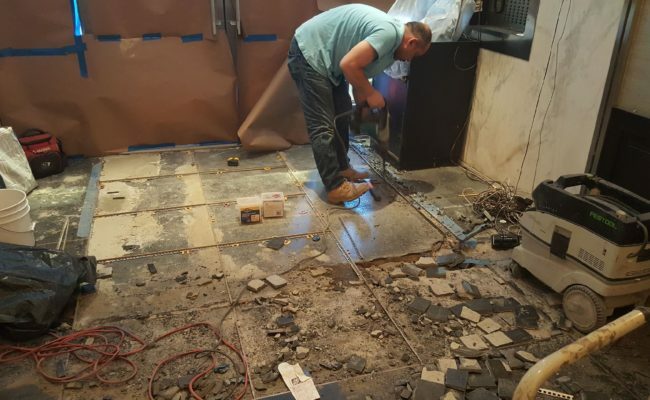 As always, Stoneshine finished the restoration process by completing a detailed cleaning of the work area as well as all surrounding areas that may have been affected. Do you have a terrazzo restoration need? We would love to discuss it with you. Send us a message or give us a call at (888) 400-4302 for a FREE estimate on terrazzo services throughout the NY, NJ, and CT area.